After receiving the donation of 388-acre Eden Hall Farm north of Pittsburgh, Chatham University conceived an audacious goal to create the world’s first net-positive campus. Home of the university’s Falk School of Sustainability, Eden Hall Campus is designed to generate more energy than it uses, is a water resource, produces food, recycles nutrients, and supports habitat and healthy soils while developing the next generation of environmental stewards. How is this possible? 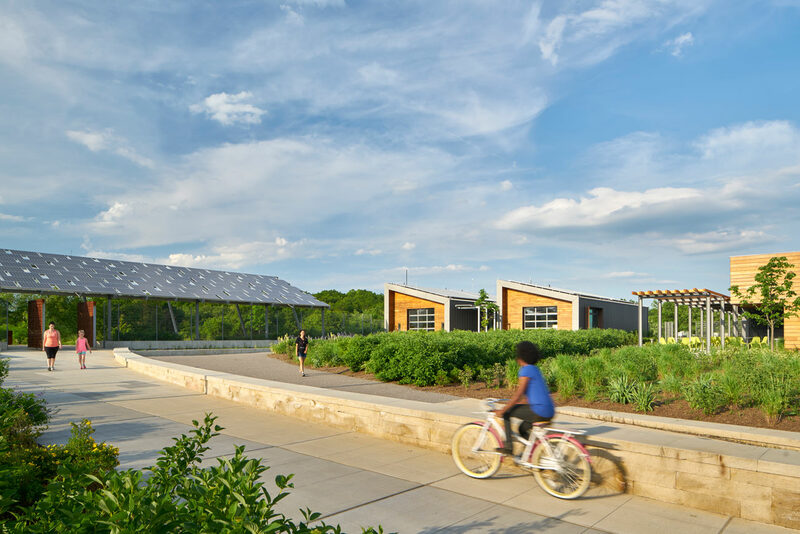 Read “Net Positive: Chatham’s Eden Hall Campus” for insights into the project’s integrated design approach and innovative results. The new campus has also received national recognition from the American Institute of Architects (AIA) for exemplary sustainable performance and creation of an innovative learning environment. Click on the following links to learn more about the 2017 AIA Committee on the Environment (COTE) Top Ten Award and 2018 AIA Committee on Architecture for Education (CAE) Education Facility Design Award of Excellence.